Catana Starks became the first African-American woman to coach a men’s NCAA Division I golf team when she was hired by her alma mater Tennessee State University, a historically black college in Nashville. From the Rough: A true sports movie. 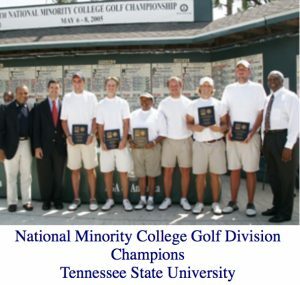 In 1986, when Tennessee State joined the Ohio Valley Conference, former athletic director Bill Thomas traded the school’s swimming program for a men’s golf team. Catana Starks was asked to steer the new squad. She didn’t know at the time that she would end up making history. Catana Starks had been the men’s swimming and diving coach for TSU. She didn’t have any experience coaching golf. However, she accepted the challenge of building the program and devoted herself to making it as strong as possible. I was hired to teach,” reports Starks, who later became the head of Tennessee State Human Performance and Sports Sciences department. “They asked me to return to teach and that’s what I was doing. I was asked to take over the men’s swimming and diving teams. I did that for a couple years and we joined the Ohio Valley Conference. I had started playing golf when I was teaching and coaching high school sports in Saginaw, Mich. I learned to play golf from other people. I learned even more once I got to Nashville. My first golf team consisted of two injured football players, two other guys and one girl who was permitted to play with us. I started out with that and they were all African Americans. It continued on, and then I started getting other interested players from other ethnic groups. Eventually it evolved into having some international students,” she stated. Starks led the TSU golf team to the Minority Golf Championship in 2005, which was her final year of coaching. Well-known golfers played for Starks and were nurtured by her expert leadership. She coached the following: Canadian Sean Foley, who is currently Tigers Woods’ swing coach; Sam Puryear, the first African-American men’s head golf coach in any major conference; and Robert Dinwiddie, who was an All-American at TSU and is now a member of the European Tour. Starks didn’t set out to be a celebrity or to receive national attention for being a pioneer. 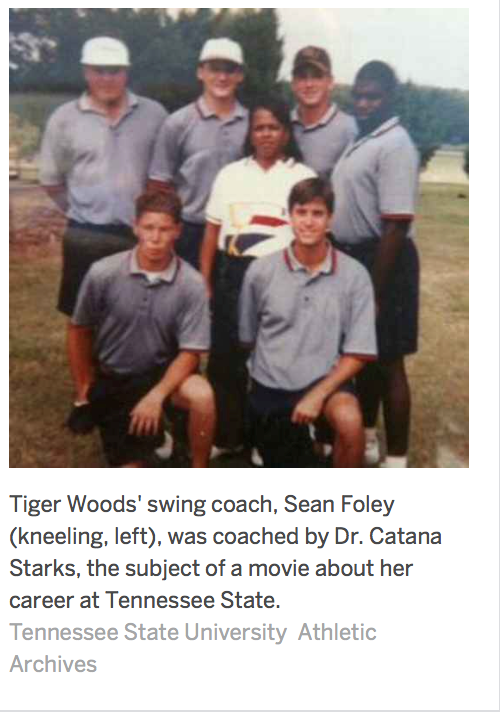 Starks coached a diverse group of players throughout her career, including several white players, including Canadian Sean Foley, who is currently Tigers Woods’ swing coach. Sean Foley speaks glowingly of Starks. 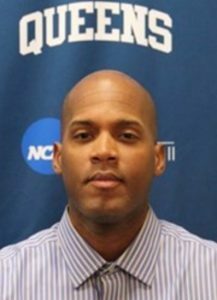 In addition to Foley, Starks coached Sam Puryear, the first African-American men’s head golf coach in any major conference. Puryear took the reins at Michigan State in 2007 and in 1991 he was the captain of the Tennessee State team after playing four years for Starks. “Sam was an outstanding player,” Starks said. “He was the editor of the school newspaper. He made dean’s list every semester. He was a wonderful student-athlete. You never know what they may end up doing. I would have never known Sean was going to do what he’s doing now. He has always been a very even keel person. Starks adapted quickly and successfully to coaching men. She proved quite effective at building a solid program. She also picked up a lot of knowledge from other college coaches. “I never had a problem with it,” Starks recalled. “There were quite a number of coaches in the Ohio Valley Conference that accepted me. So, I just learned from a lot of people. I started reading a lot of things and being a member of the Golf Coaches Association and all those things really helped me understand the things I needed to do,” she added. Diligence and hard work paid off for Starks. In 2005, she led the Tigers to the National Minority Golf Championship, which happened to be her final year of coaching. It was a huge accomplishment. Starks is aware of her notable influence on other young women thinking about coaching as a career. “For me, it’s always been about helping players to believe in themselves and helping them to learn to do the things it takes to become better players, better fathers, better husbands and better professionals,” says Starks, who retired in 2012 as a professor and chair of TSU’s Department of Human Performance and Sports Science.